In Japanese, sushi rice is called sushimeshi. 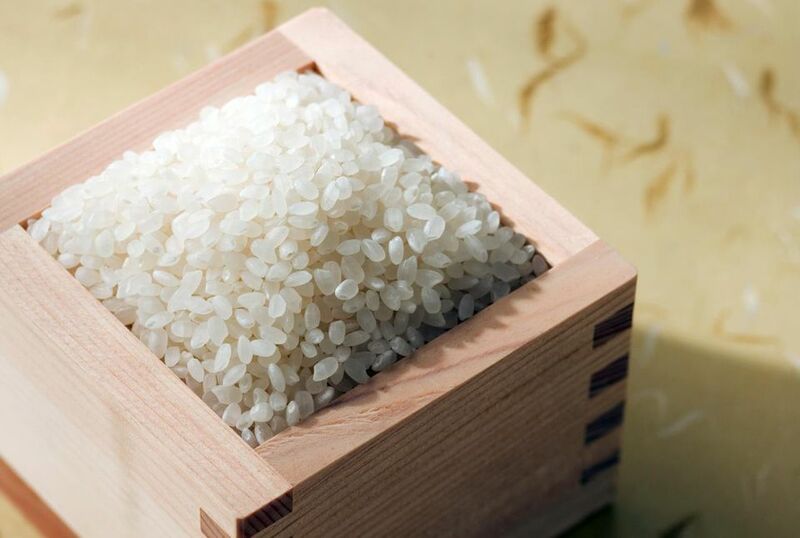 Perfect sushi starts with perfect rice which is the basis of sushi. For that, you will need a good recipe like this one and some care. Use short- or medium-grain rice. It’s more starchy and round than the long-grain variety, which just won’t hold together well enough to support ingredients in sushi. Many stores now sell specifically-labeled sushi rice. Some people prefer their sushi rice less seasoned and there might be differences in strength and flavor between various brands of rice vinegar. If it’s the first time you are making sushi rice, prepare the amount of seasoning described below, but only use half of it. Mix it with the rice and taste before deciding if you want to use the full amount. Put the rice in a large bowl and wash it with cold running water. Repeat washing until there is no more starch coming out of it and the water becomes almost clear. Place the rice in a rice cooker and add water. Let the rice soak in the water for at least 30 minutes. Start the cooker. When rice is cooked, let it steam for about 15 minutes. Prepare sushi vinegar by mixing rice vinegar, optional sake-mash vinegar, sugar, and salt in a saucepan. Put the pan on low heat and heat until the sugar dissolves. Cool the vinegar mixture. Spread the hot steamed rice into a large plate or a large bowl. Use a nonmetallic bowl to prevent any interaction with rice vinegar. It's best to use a wooden bowl called sushi-oke. Sprinkle the vinegar mixture over the rice and fold the rice with a shamoji (rice spatula) quickly. Be careful not to smash the rice. To cool and remove the moisture of the rice well, waft a hand-held paper fan over the sushi rice as you mix it. This will give the sushi rice a shiny look. It's best to use the sushi rice right away to make rolls with your favorite fillings.